Fits the following styles: Flynn (snug), Cyrus, Hielo, Cooper, Dirty Mo, Logan, Dirk, Dega, General, Bounty, Rover, Tackle, Konvoy, Mccoy (snug), Touring (snug), Frazier, Rocky, Angler, Hunt, Fiona, Farrah, Allure, Leo, Walden. Small and medium-sized frames can also fit in the large case, including Westport, Marina, Bellows, Beachwood, Wingate, Emerson, Neptune, Tele, Alcatraz, Haight, Atlas, Helm, Montana, Discord, Bowie, Cameo, Whistler, Loma, Pismo, Cliffside. Top notch and better looking In the hand than in photos, love the Spy icon on the zipper instead of the normal latch! Great case Spy!! Everything a glass case should be. It was exactly what I needed to keep them safe. I recommend getting the large glasses case to protect your sunglasses when your not wareing them. Fits my giant sunglasses and protects them how it should!! Perfect size for my Farrah’s. Love My Spy Sunglasses! They were replacements glasses for a pair I had for years. Leisha in warranty helped Me out big time.! Awesome, crushproof and need I say more? Fits my spy optics perfectly. Very fast shipping. Very satisfied. Awesome case, fits my sundowners and Helms perfectly! Smooth zipper, holds glasses nicely. Great quality & my sunglasses fit perfectly !! It fit my glasses perfectly. They are prescription and this protects them when not in use. Fits the touring nicely. Protect your investment. I love this case. It looks great and my only concern of the sturdiness of the zipper pull has been put to rest. The case is of equal if not better quality than a comparable case I own from Oakley and cost almost half the price. It fits my Logans in or out of a pouch perfectly. I will definitely be adding one with my next glasses purchase. I wish it was more of a hard case, however, it fits well inside of my book bag and helps keep them safe. I bought this case to protect my Touring's. The description said that it would fit my glasses snug, but when I placed the glasses inside, I found they fit perfectly. The case is built well and I love the orange rubber cross zipper pull. Thanks Spy! Everything is great and i like the case a lot it fits my Spy sunglasses perfectly bc their huge. Love spywear. Best eva!!!!!! Durable, light weight, great protection. Can’t go wrong . Great case, fits my Cyrus sunglasses perfectly. Absolutely best case use it everyday at work. Put my old pair in the case while driving home and when I’m at my construction job put my new pair in the case. Best purchase!! I got this case for my Spy Cyrus Glasses. Like it a lot wished they had more colors available on this case. Really nice case. Better than my Oakley hard case. This case is a very useful case for all lenses. It fits good for my lenses. Perfect for my Spy Optic sunglasses. Case is sturdy but very light. I would recommend it. Great case, fits a variety of shades. Recommended. Love this case. 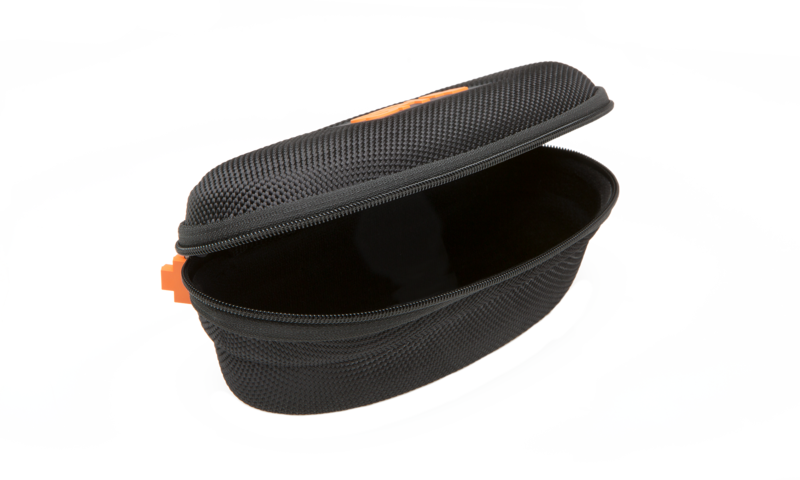 Easy to travel with and keeps glasses safe and easy to throw in car or bag. They came quick and work perfect. Sturdy case, fit the Cyrus style! I bought this case hoping it was at least a step up in durability from the little cloth bag my Cyrus sunglasses came with, and my expectations were exceeded handily. The case is very rigid in durability, but still soft on the inside that it protects the frames and the lenses from damage. I really liked the orange trim and the cool cross for the zipper, it's the kind of case you would get if you bought a pair of $700+ designer sunglasses. Couldn't possibly ask for better than this! Fantastic case and excellent Customer Service!! The case fits perfectly and looks great! Customer service responded right away and I had the case within days! WIll definitely buy from SPY again! Tend to be rather clumsy with glasses when tossing them into the glove compartment. 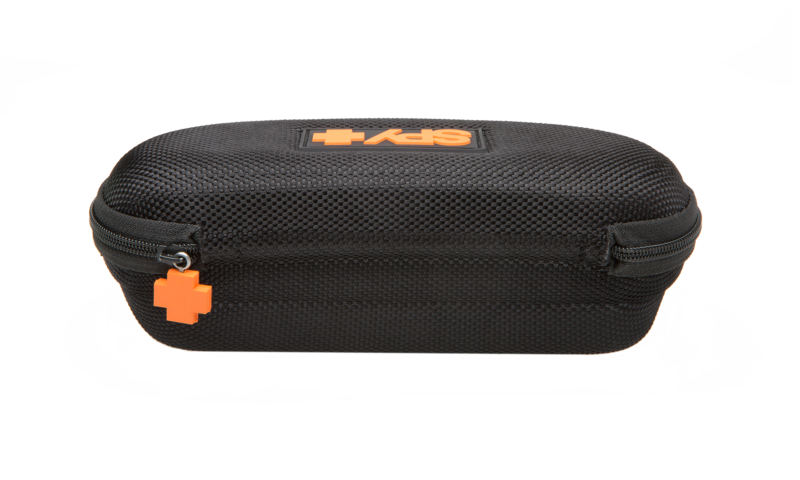 This hard case is the perfect solution!! 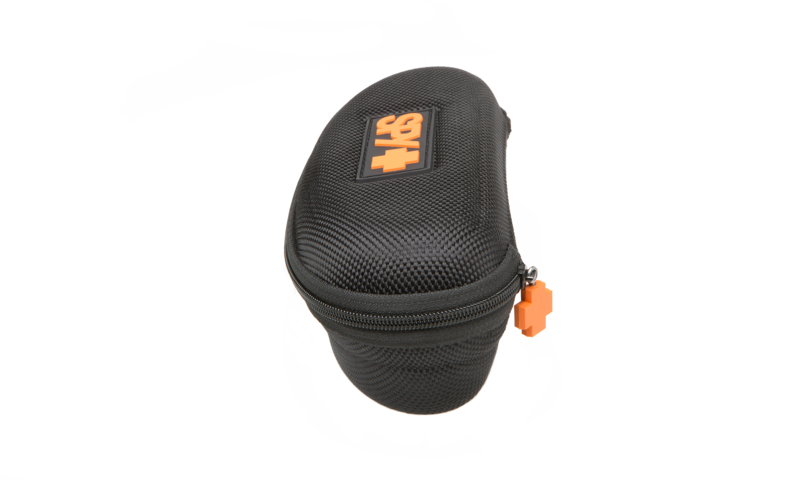 The sunglass case is functional and snow resistant. Hopefully it will stand the test of time. I feel it it's a great investment to protect my spywear. Nice case for free. Protects my glasses and keeps them clean. Sturdy, all my spy’s fit easily into it. Hard sided to keep glasses safe. To hopefully keep two pair in truck console. This hopefully will keep my glasses safe when I travel and I wont have to worry about them breaking! I ordered a set of Spy glasses from Tilly's. They came in an exclusive color combination and I can't risk breaking them. Plus, they are polarized so I need to take extra care of them. For Spy aviator Christmas gift. Spy Optic sunglasses are rad. Thanks to the SO team for making badass sunglasses and gear. free gift, who doesn't like free stuff? I ordered the large sunglasses case because the description indicated that the sunglasses that I ordered would fit in the large case rather than the smaller one. Needed to hard case to protect my husband's glasses. He is very hard on them. Love the style and fit of my “Spy” glasses. I have had them for 2 years and they still look COOL. 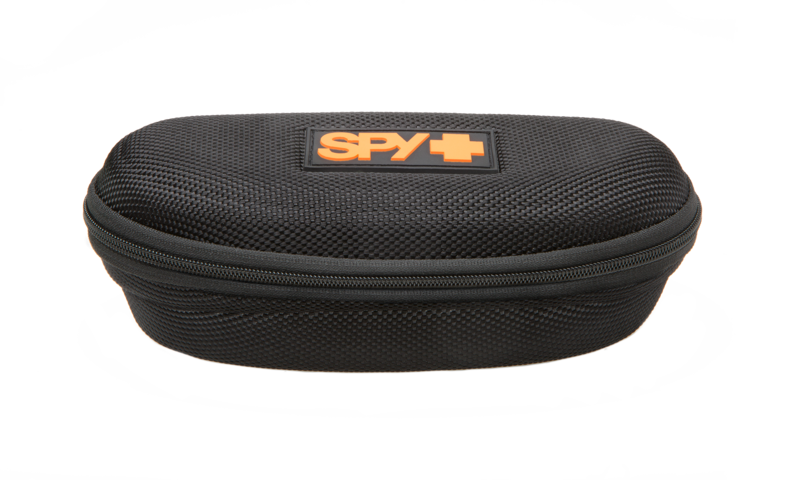 Because I recently purchased a pair of Spy Flynn sunglasses and need a case to protect them. protecting something that protects your eyes. the soft sleeve is only good for cleaning your lenses. I had this case with my sunglasses and can't find it now. :/ Needed a new one. My BF just got me a pair of Farrah's and I want to protect them. I love the glasses. They are beautiful!! So they do not break my Fraziers. Thanks looking forward to this cool case! I felt that it would protect my new sunglasses nicely, give me a overall sense of well being, help boost morale, and basically save the world. SPY sunglasses only come with soft pouches. These zip cases offer better protection. To protect my glasses, better than a soft bag. As I plan to use them everyday and store them in my bag while in doors.